Ever since hair chalk became all the craze, I have been dying to try it. However in the stores near me that have carried hair chalk, the colors are always so limited. Usually only 3 colors in a pack. So really not much of a selection. I was recently introduced to the Wicked Crown Temporary Hair Color Chalk, and I have to say I am in love! Most modern guys and gals are familiar with hair chalk, however in case you are a bit late on the trend, hair chalk is just that, a chalk that you use in your hair that gives you a temporary color. The hair chalks literally almost feel exactly like the old school chalk you used to use in school, however a bit softer, and a huge color range. 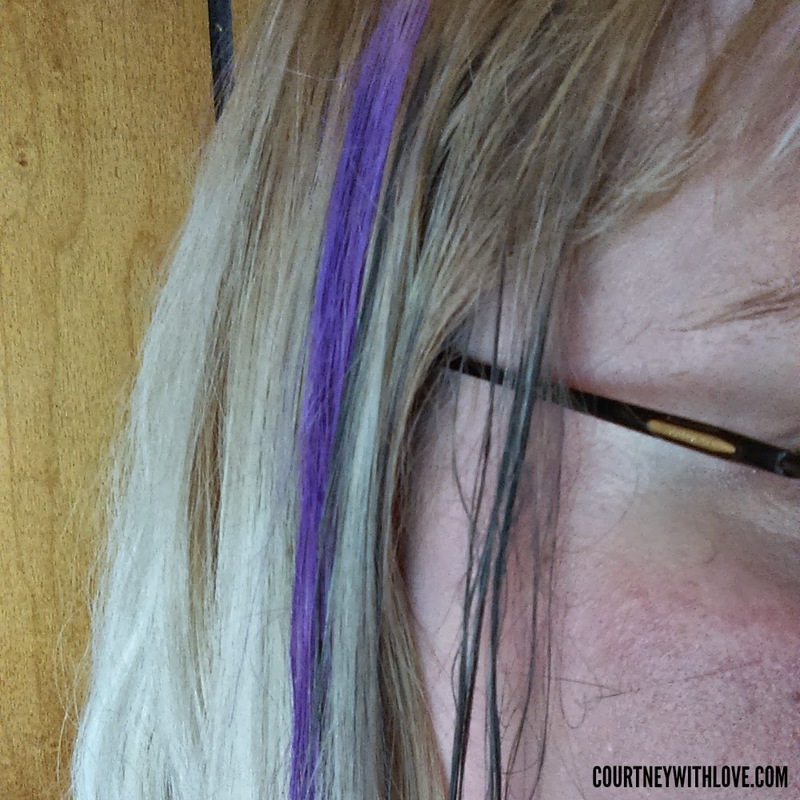 To use the hair chalk you simply wet a section of hair, I do sections of 1" or less at a time. Then take the chalk color of your choice and run it through your hair, kinda like you are coloring your hair. I find best, opaque results with hair that is quite damp, but not dripping wet. I have light blonde hair, so the colors show up very well on me, unfortunately I cannot comment on how they work with darker hair. I do also recommend wearing a old shirt, or a dark shirt when applying, just to avoid any possible staining. Gloves for your hands are also a good bet as well! 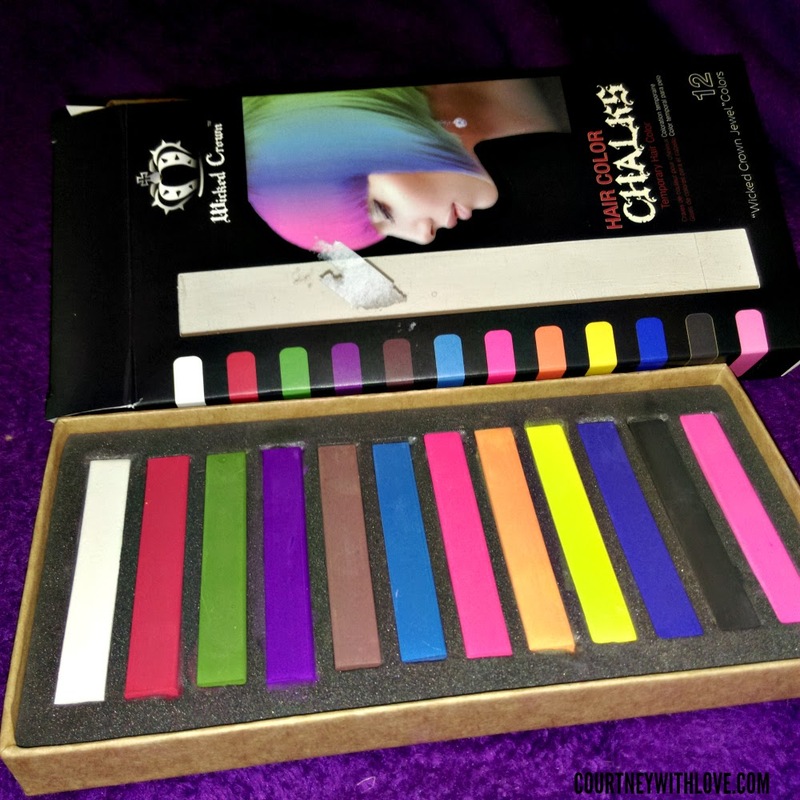 The Wicked Crown Temporary Hair Color Chalk set has 12 "Wicked Crown Jewel" Colors. It contains a white, red, green, purple, brown, blue, pink, orange, yellow, darker blue, black, and a light pink. Talk about a killer selection of colors! I really like that they included 2 shades of blue, and 2 shades of pink in this set, this is amazing for creating an ombre effect on your hair. I absolutely love these hair chalks. They are so richly pigmented, it only takes a few quick swipes and I have perfectly opaque colored hair. They are great for temporary wear, however you can use a flat iron or curling iron to help seal in the color and make it a bit more vibrant. I found that doing this also helped the color last longer in my hair. Removing the chalk from my hair was simple, just wash and condition. Easy peasy. I was worried that with my super blonde hair, it might stain, but it didn't. I tried all the colors and none left any residue on my hair. I highly recommend trying these if you are looking for good quality hair chalk, or just want to play around and add some color into your hair. These are great for anyone, including kids. 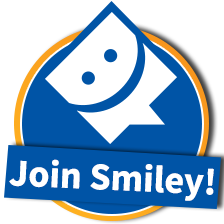 Also great to have on hand for parties, and holidays!